Could we live with Cesc going to MU, if Rooney came to Arsenal? This Torture Window is just not getting any easier for us Gooners. How many headlines did we read recently telling us Higuain to Arsenal was a done deal? Now it appears he is off to Napoli. Then there is our pursuit of Suarez which still feels not real or genuine to me, but that is just a gut feeling. The best news we could hear is the return of Cesc Fabregas to his real home of football. Again, my gut-feeling is telling me this will not happen, at least not this summer. The only reason I can see it happen, is if Barcelona need the money and/or the new manager does not see a regular first-team future for our ex-captain. The Torture Window does, however, continue to pain us with links about the Mancs making offers for our former midfield maestro. Seeing Van Judas in a Manc shirt is hardly bearable, but seeing Cesc in it would be too much. I have no doubt the supporters’ backlash would be immeasurable if that were to happen. But what if we were to get Rooney and the Mancs got Fabregas, in some sort of gentlemen’s agreement between Barca, MU and Arsenal? Barca sell Cesc to the Mancs for say £50m and Arsenal get Rooney for say £40m. Barca get £25m – but apparently they still owe us money for the Cesc deal, so in effect it will be less; we get the other £25m from Barca as per a clause in the sales contract of the Catalan, and possibly even more; the Mancs lose £50m but get their missing midfield maestro; and we get Rooney to play in the ‘hole’ position, or as our main striker, without having to dig deep in our cash reserves. Now let’s assume Rooney would be keen to come and join us, which is by no means a given, and we would be able to accommodate his enormous salary, and justify it to our other key players somehow; could we accept such a ‘swap deal’? Leaving the morale issues aside for a moment, the other key question is, would Rooney strengthen our team more than Cesc would strengthen the Mancs? Do Arsenal most of all need an AM for which Cesc is the ideal candidate, or are we missing a number 10 attacker, for which Rooney is the ideal candidate? Or should Arsenal do everything to get Fabregas back and use a considerable sum of its £70 transfer fund to do so? These are the hypothetical questions I would like to put you, fine fellow Gooners! This entry was posted in Uncategorized and tagged Fabregas, Higuain, Rooney, Transfers, Values. Bookmark the permalink. 74 Responses to Could we live with Cesc going to MU, if Rooney came to Arsenal? Rooney is nothing compared to Cesc. To say that he would add anywhere near what Fabregas can add to us shows a lack of understanding of how we play. Our midfield is everything to us. Strikers are a bonus, we need a midfield that can dominate games first and foremost. Back when we had Cesc, when he played well we won. Rooney could have the game of his life and we’d still lose. Cesc can dictate our play. There is a buyout clause of 25 million quid for Cesc. Barca still owe us 10 million from the transfer, so we would teachnically get him for £15 million. We could then bag Suarez with the rest of our funds. Wayne Rooney would struggle to get Arsenal’s squad. i would take Cesc over Rooney every time – not just because I am biased and loyal to Cesc; but I really believe Rooney is past his best years and likely to bring a load of distracting baggage. However, I fear that Cesc is looking at Man U seriously – why would they persist if they did not have some encouragement from the player? Cesc will never go to Man U. 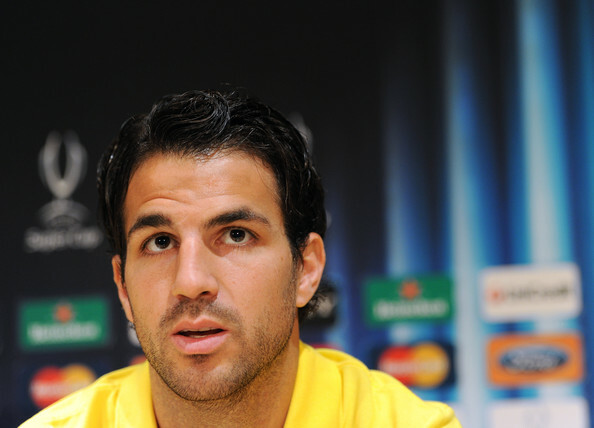 The only agreement will be between Barca & Arsenal to smokescreen the rumour that Cesc may have already signed for AFC. Reason being Man U are more of a threat than us to Barca. If Cesc must leave them, then they’d rather he come to us. Plus they owe us money directly for him, so the slate is wiped clean. That’s Barca’s view accounted for given he does want to leave and provides solid reasons as to why they are happy to string Man U along all the while. Plus, Moyes is no where near as savvy as Ferguson in the transfer markets. It’s one thing to work in the mid price range brackets – it is wholly another to operate at the tiop level and at the top prices. Secondly, we still have a chance of signing Rooney. Man U will not wish to strengthen Chelsea who are clearly more of a threat than us in their eyes. Chelsea will always offer more than us for him, but Man U can convince Rooney to go to AFC even with a lower bid, only insofar as they perceive us less of a threat. Also, we did sell them RVP last year and that won them the EPL – coincidentally (or not!?) Feguson;s last year in charge. Man U owe AFC big time and there may even be a subtle agreement to “repay” that service. That will 100% fall apart should we ever announced Cesc’s arrival at AFC, in which case that’s a whole different ball park to Man U, especially given we might get Suarez too. Just imagine if you were Man U right now: current AFC + Suarez + Rooney + Cesc + DMF + keeper = no trophy at all for Moyes in years 1 ,2 & 3. This logic holds up when you compare all the stories reported thus far on all three of these transfers and how each day, each players story unfolds. I am sure we will pay £50m for Suarez, becasue we can and in today’s ***ked up money madness market, he is “worth it” even though there is no way anyone is, if you know what I mean!!! Agreed on the need for a dominant midfield and Cesc would of course play a very important role for us there again, if he were to rejoin us. But to say Rooney would struggle to get into the Arsenal squad is totally wrong. The clause in Cesc’s contract is for 50% of the profit made on his sale to a third party not 50% of the fee. So if Barca sold him to the Mancs for £50m they would make a profit of £20m as they paid us £30m for him. We would therefore receive £10m (50% of the profit). That is news to me, but would make sense. Please forget Rooney! Not required! Can’t see Cesc going to Utd. (Not a pursestrings man) Suarez would be top class but still a big risk! Must be options in the 15-20m price range for striker. Need players in other positions … Defensive midfield/defence/goal. Bring on a bit of sense to the scene. I think I will completely give up watching football if it means having to see Cesc in a ManU uniform! I just cannot believe that Cesc would ever make the move or that Wenger will see this happen. Of course I continued to believe till the last moment that RVP would not move either. But, I believe that the circumstances last year were different and that Wenger will not permit this transfer to happen. I just have to wonder if this entire bid is a massive smokescreen by Moyes. But to do what?? I’d much rather have Cesc than Rooney, and totally agree about the importance of dominating in midfiled and creating chances. I’m also of the view that Rooney is past his best. The reason is simply that he has been playing at the top level for a long time and from a very young age, since 2002 in fact. The rigours of this long career are already showing in terms of niggling injuries and lack of consistency, and this would not be the best time to begin an expensive new deal for him. Five years ago he would have been a great signing for any team in the world. 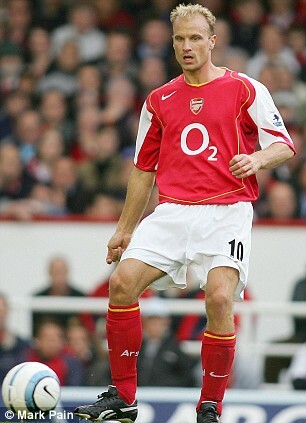 Also, like many Gooners, I haven’t forgotten his dive in game 50 and that rules him out forever to my mind. Finally, how many of us would have the stomach to be able to watch Cesc and RVP lining up together in Man United shirts? It is no smoke screen, Cesc is not playing reg and is class and united midfield is not all that, no mind games there. I can just imagine Judas calling him up and trying to get him to sign as well ehhh i cant stand the thought of it. I like your thinking and i hope you are right, i must say i fear a much worst out come at the moment i think Real may have really f***ed our plans up. The knock on effect kind of thing. Cesc over Rooney every day , week , month and years. Let the unhappy Rooney stay there and cause a bad atmoshere and him and Moyes beat the crap out of each other and united fall apart. Also if Cesc goes there i think i will lose all respect for players it would really leave me thinking what is the point. This is making me hate united massively the cheek of it ,He will stay at Barcelona for at least another season though its a new manager and fresh start for him there really. I don’t even want to think about it any more its going to give me nightmares. I could never forgive Cesc if he was to go to ManUre. I would prefer him to stay at Barca. Signing Rooney would be of help to us but not at the cost of seeing one of our favourite players playing for the Mancs. Speaking of Suarez, I was at the MCG to watch our local Melbourne team play against LPool and I have never seen anyone so disinterested in playing like Suarez. He may not come to the Arsenal but I do not see him playing for them for too much longer. I for one, CAN stand to see Cesc with a Man United shirt on. He’s not our player anymore, he’s not under our control, and we have players with a lot of potential in the first team squad and the youth ranks. No, they are not as good as Cesc is YET, but they possess qualities that Cesc doesn’t. Jack Wilshere is a much better leader and a lot more loyal to the cause than Cesc was. No he is not as good a player yet, but he is a better leader, in my opinion. Who would you rather have a confrontation with??? Cesc or Jack??? I know which one I’d rather cross. Also we have Oxlade Chamberlain, whom I expect massive things from next season. No, he will never have the vision of Cesc, but he has a better shot, is faster and is a better dribbler than Cesc. We also have even younger players like Crowley, and Olsson. They both have massive potential. The Mancs might win the title next season with Cesc in their line-up, but I think that these last two seasons have hindered the development of Cesc exponentially. He hasn’t played for two full seasons. I mean REALLY played, at the highest level. These past two years can NEVER be taken back and done over. I don’t think he’ll go to the Mancs and slip in seamlessly either. Yes he would play every match, but he would have to get used to their style of play, and their manager’s training methods. He’d have to become accustomed to a beautiful city (NOT) and his family would have to be settled before he could play at the level we used to see him play at. He would also be a minority of one at United!!! I’m not just talking about his nationality. He would be the only true ball-playing midfielder in their first team squad. So he would probably be overused and as a result pick up injuries. Even if he ends up at United, it won’t be all peaches and cream for him. I will cheer for Arsenal as I have for the past 16 years, even if Cesc is with United next season. If you are more of a fan of Cesc, than the club, you can always cheer for whichever club he ends up at. If Man U got Cesc i’d be livid. I don’t think he would but if we didn’t try and hijack the deal we might as well lynch the negotiators at our club. Unfortunately confrontations mean next to nothing in football. In Jack confronts someone they’ll drop like a sack of spuds and he’ll get red carded. It isn’t a game for men anymore. I do like your optimism though. round up your pitch forks gents it’s time to pay Terry a visit!!! Where’s your source. You’re slimier than an algae covered rock dipped in oil!! I heard the crowd was unbelievable! There were about 80000 Liverpool fans and the atmosphere was somewhat disappointing. The crowd was vocal but the MCG as much as it is a wonderful stadium, it isn’t made for football. The highlight was everyone signing YNWA. The Arsenal need to get their arses down under. We’ve had a few different teams out here but not the one that matters. Last year I was at Hong Kong Stadium and the atmosphere was excellent. Gooners from all around Asia showing their support. Hopefully next year will be our turn in Oz. Moyes has been caught peeing in the wind … and it is a headwind! He is under greater pressure to sign someone (big) than AW. Fergie did what I thought he would, win the title and get out quick. Leaving behind a largely ageing squad that is some one else’s problem. I cannot see MU selling to Chelsea(or us for that matter), Colleen say’s No! to going abroad, so he is stuck. If the RVP injury keeps him out, Rooney a chance to be the hero again? Barca will not sell Cesc. Cesc will not leave. They are the midfielder down who might have been ahead of Cesc to replace Iniesta long term. No longer the case, and Cesc knows this. So this is his big chance – See Song’s quote – so he will not move unless Barca say otherwise. They will make nothing out of a sale to MU because they will have to pay up what they owe on Cesc, which will wipe out much of the half of the profit? Now when the transfer market is boiling, its time fore asking if Barcelona, ManU and Arsenal together have something cooking. Fabregas to ManU and Rooney to Arsenal. Wayne Rooney might be better than Rvp. The two players has been compared over and over. Only the last 2 years Rvp has got more goals than Rooney. 2011-2012 Rooney made 27 goals, RSVP made 30. Last season Rooney lost his spot to Rvp at ManU and the rest is history….he wants to leave. Maybe Arsenal would be his only choice in England to get even and prove he is the best forward. Arsenal always produce a high amount of chances pr/match. And considering Rvp ego Rooney might produce more assist along with goals. You can go on and on….the 2 players are superclass …. the question is if Rooney and Wenger wants to make a historical gamble and let Rooney try to prove him self and show he is the one and only. Hes got the hunger and a salary of up to 300.000k pr/week would make no difference. The gamble is bigger than money….the gamble would be history. If Rooney is a perfect matc fore Arsenal, history can finally deside who is the best, Rooney or Rvp….i’ll bet the inner desire to revenge will give Rooney a headstart……. Lets hope fore a historical signing … Comments are welcome! No need to suppress that laughter my friend. It should be raucous. You’re right about Coleen saying no. My mum was watching a fashion show the other day hosted by none other than Coleen Rooney. UK TV is scraping the barrel there! Completely agree and it’s what I have been saying for a while now. Cesc would definitely unify all the supporters. He is one of very few players who we would welcome back to The Home Of Football. We all know that he belongs here and he would be able to pick up where he left off. OZ, “slimier than an algae covered rock dipped in oil” hahaha, thats the nicest thing any one has ever said about me. Now listen hear you Pheasents. If you make the mistake of turning up mob handed armed with pitch forks be warned Terrys magical wig will vanquish you all. Hi Ta, i can live with either scenario. Players are not fans. We will all feel better if we accept this. Cesc can go were he wants and as for Rooney, well any man who has a hair procedure is alright with me. TA, Cesc is no longer an Arsenal player so I do not care where he goes. He could go to Spurs for all I care. If Wenger gets him to come back I will be happy and if Fabregas goes to United at least we will get a good chunk of money. If he was still under an Arsenal contract that would be a different story. i’d much rather have cesc back with us than rooney any day of the week. I think cesc in a utd shirt is one of the signs of the apocalypse!! The only way Cesc is going to ManU is if Arsenal don’t want him back. With the combination of the first refusal option and the 50% of sale clause Barca would be crazy to accept any ManU deal IF Arsenal step in and say they want Cesc ManU would have to double Arsenal’s Bid for Barca to get the same amount out of the deal. and if Arsenal put in a bid they get Cesc it is that simple. If Arsenal Don’t want Cesc and really do want Rooney the pressure is on ManU to make the deal NOT on Arsenal. We could force ManU to sell or use our leverage to push the cost of Cesc up. Remember a 30mil bid from ManU is only 15M to Barca If Arsenal step in with 30mil offer ManU have to up their bid to 60 for Barca to get the same out of the deal for Cesc and Arsenal Get 30 mil and could offer ManU 40mil for Rooney and only pay 10mil out of their own pocket. TA, certainly an interesting debate you have sparked between Cesc or Rooney and which one would benefit our team more. Personally, I’d take Cesc any day of the week and twice on Sunday over Rooney. He’s a classier player with more skill and vision and fits in line with the Arsenal image. He once said that he would only ever play for two clubs (Arsenal and Barca) and I have held my respect for him as an individual because of that bold proclamation. However, Rooney is an interesting potential addition because of the young British core we are building. The idea of England and Arsenal benefitting from the chemistry of Theo, Rooney, Ox, Jack, Gibbs and Jenko for years to come is tantalizing and not to be overlooked. It would be a great boost for morale for these players to want to get better and stay together long-term. Cescy time over shreky time for me for a number of reasons , most of them covered above but one reason i feel we should get Cesc back is for the fans, it will be a nice way to show the fans that their patience has been rewarded after years of heartbreak and disappointments in the transfer market e.t.c. I’m with AFC on this one…Cesc is not an Arsenal player anymore, we don’t have control of his contract, so I don’t think it is worth it to get all worked up about him potentially joining Man United, or any other club. I’m a little Cesc-ed out…I’m tired of all the stories, and rumours, and we already went through this once before, when he left. I would never get tired of watching him play, as when he is used correctly, he is a superb player, but all the rumours and stories that have dogged his career hasn’t helped him or the supporters, in my opinion. that may well be the case, however , i don’t hold our club , negotiators or AW responsible for the way we dealt with it…sure he was happy to come to us and so were we happy to have him and hence the personal terms being agreed in advance. contrary to popular belief that 25 million was the asking price and we stumbled at 23 which was the cause of us failing to land him and all that is ROT in my opinion. everyone knew Cavani would be on his way out from Naples and Naples had already conducted business with RM before (both the clowns are made for each other), note how after that his quoted and asking price started going up up and away…which made us go for our other targets and in a very unusual Arsenal manner, we were public about it. connect the dots and you may realize that we were being played by RM and instead of us getting screwed we instead turned on the screw on them (rightfully so). i also understand that if, we don’t get Suarez then the egg is on our face but at the same time, there has had to be enough encouragement by the player and his reps to suggest that this will happen and go ahead. so apparently the reason why we haven’t signed Fellaini yet is because we’re into , wait for it…. yet to sign a new contract with BVB, i was told. JB, reports are saying Rami could be available for under 8 million pounds. That would be a good buy and the sale of Gervinho would help pay for the transfer. TA, to put it simply, no. Fabregas is too dangerous to let Man U have. I don’t believe he’d go there though. I’d eat my own arm if he did. JB, reports are also saying Real want nothing to do with Suarez meanwhile we want Roma to pay more for Gervinho. Maybe Wenger is planning to use the 8-10 million for Suarez. we don’t really need the Gervinho money to speed up our own transfer purchases, we already have more than enough to cover Suarez -Gundogan in my opinion and also for Cesar…that’s 3 players we need. the Gervinho money will help in getting Rami though and will help in funding the Bernard deal, i hear Bernard will be loaned back to his old club (same as what mancs did with Zaha). exciting none the less but this Suarez deal needs to be completed soon ! JB, now reports are saying Cesar’s wages are around 90k a week. Cesar and Rami could be completed quite quickly. The Suarez deal and any other deals could take weeks. Why would we loan Bernand back. That does not really make sense as he is a player who could make an instant impact. That would be like Chelsea owning back to his old club. JB, my mistake. It seems we would need to pay 9 million for Rami. At the end of the window, no more newcomers. (Club management announces we are keeping the £70 – 100 Million transfer kitty to add on to that for season 2014/2015. i.e. £140 – 200 Million transfer kitty to bid for Lionel Messi). Bernard (and/or his club) might (might) wish to remain with A.Mineiro to compete for the end season Club World Cup competition before officially coming in (should the transfer deal go ahead) Jan 2014. We are reported to be competing with FC Porto (a usual suspect for new South American players coming to Europe), the Ukrainian and Russian clubs for his signature. “”so apparently the reason why we haven’t signed Fellaini yet is because we’re into , wait for it…. Gondogan’s contract till 2015. Yes, and there are also a handful of other clubs (including a couple of richly-owned clubs) lining up for his signature. Other news, Cardiff City (yes, the newbies to the PL) have made initial contact with Toulouse and launched a bid for Etienne Capoue for €12 Million. What are your thoughts on us getting Rami, who Valencia say is available for 9 million pounds? thanks for confirming that one, since we already know that Gundogan is admired by Wenger and we have already had a bid rejected for Bender… while we’re at it, we have developed links in Germany, which makes me rather optimistic. 20-25 million on Gundogan is money well spent as he can enable us to play “wengerball”, this is something i couldn’t associate with Fellaini (even though he would have more of a presence but his passing game still leaves a lot to be desired for me). Cesc left Arsenal only because he was home sick. He is happy to be back in Barcelona. One has to question the intelligence of David Moyes. They need a midfield playmaker way more than we do, and yet they are obsessed with a player they do not have a realistic chance of signing. One also has to question their ambition in Europe. If they want to challenge the likes of Barcelona how do they hope to achieve that on the back of a player who struggles to hold a regular place in the Barcelona team? Cesc is exactly the type of player that utd need in order to compete in europe, i’m not sure what makes you think otherwise. Cesc adds value, an added dimension to any team in the world. you’re being a bit harsh on Cesc when you say he can’t hold a regular starting place in a team where he has Messi and Iniesta along with xavi playing in his preferred positions. if Cesc was to join man utd, he would no doubt strengthen them and not only take them further in the CL but also make them contenders. apart from Carrick, they really don’t have any decent defenders (retired ones , aging ones don’t really do it for me as much as they are legends for them but fact of the matter is that midfield is their weaker area) . JB, I would kindly ask you to re-read what Wesley Yates wrote. I almost made the same mistake a you but he said Cesc IS the player Utd need. The bit about Cesc struggling to cement a place in the starting line-up at Barca is true though. I agree with Wesley that Utd do not have a realistic chance of signing Cesc. I know everyone will jump on me for saying this, BUT I’d rather we somehow land Gundogan then get suckered in to the Fabregas situation. We need some new blood in midfield, and it is my opinion that we are more in need of cover or the replacement of Arteta or Ramsey, than another creative midfielder at the club. This is only my opinion, and Cesc would offer more immediate returns in the goal scoring department, but for me, a midfielder’s main jobs are; to link the defenders with the strikers and to provide cover for the defense in case of need. Goal scoring comes second or third. i understood what he meant and i posted what i did as a whole really. saying that, where there is smoke there is fire, if Man UTD and Arsenal are persistent over certain players i.e. Cesc and Suarez then that means there is a good reason to do so – just saying. perhaps Cesc is giving a little strip tease to man utd reps in order to get assurances from barca over playing time and so on ? who knows but like i said, it’s unlikely for a club to bid for a player that is a no go apparently (as barca have made it out for Cesc), pool were making the same noises with Suarez and now have slapped a 50 million price tag on his head. No one’s ever accused Moyes of being intelligent in the transfer market either though so who knows what’s going through his head right now. To be completely honest, Suarez isn’t worth £50 mil. We would have been better off spending £30 mil on Higuain and £20-25 mil on one of Gundogan or one of the Benders. As each day passes, the more I’m coming to te conclusion that Arsenal didn’t really ever have a plan in the transfer window and were hopeful that things would go their way, which has ended up hurting us. Complacency seems to be a recurring theme and we continue to lose our targets to other clubs. Suarez screams desperation to me – he can’t play the first 8 PL games and just isn’t worth £50 mil. time will tell which one it was out of the above 2.
yep, 50 million is a bit excessive, we shouldn’t pay them a penny more than what we have offered ideally, however, it it’s a no go then adding add-on’s to our current offer is the way forward . you look at teams like man city and real madrid, if the press links them to a player and it’s reported strongly then 9 times out of 10, they get their players. and i feel that is the advantage (if you may) we hold in getting him at 40 million instead of paying the full 50 million quoted. £40M +£1 is his release clause, not a penny more imo. This is going to be a game of bluff !. We can wait `till the end of the TW as he will be banned for 6 games anyway, but the Bin Dippers cant wait `till the last dropping`s as they wont have any time left to buy a replacement if they sell !. but let’s hope they are not as daft as they sound. in Guardiola he has a very decent agent, let’s see how things pan out as both Suarez and Guardiola have asked the PL regulators to look into it as 3rd party (that should be hint enough that they are confident re- the release clause being activated)… besides, isn’t the contract actually drawn up by the approval and wordings of the agents along with the club ? it’s their bread n butter so let’s hope liverfools have got this wrong. JB, I honestly think we could get Suarez for a fee in between 40-45 million. Liverpool are not in a position to down that amount of money. They are low on funds as they are not even in the CL and need to balance the books, which is why Reina (one of their highest earners) was loaned to Napoli. Add to the fact Suarez wants to leave and join us and no other clubs are in for him. Then all the stuff guys within LFC are saying. Rodger, Henry etc. The Bin Dippers owner asks what are we smoking after offering £40,000,001 for Suarez and yet he paid £75M for Downing, Henderson and Carroll !. A case of pot and kettle I think, he is a non-smoker though, so there must have been some magic mushrooms in that pot !. JB, joke aside, surely Gervinho would be very useful to Liverpool if he was in their side. Thanks fore the many comments today guys. It is clear that the vast majority would not want a gentlemen’s agreement in which Rooney comes to us and Cesc goes to the orrible Mancs. It is also clear that many, if not all, rate Fabregas higher and could not stand to see Cesc in a Mancs shirt – with the exception of AFC and Milo who would not care if the latter was the case. Some have pointed out the importance of Rooney linking up with our promising British youngsters and I reckon that is one of the big benefits he would bring to Arsenal. someone was on talk sport and to Goldstein that Cesc was coming to Man United so now we have another judes.